You are here: HomenextPeoplenextBusinessesnextSidney C. Darby. The production of the Darby Digger represents Wickford’s only claim to industry at the turn of the twentieth century. The Patent Land Digger was originally invented by Thomas Churchman Darby, a tenant farmer at Pleshey Lodge, near Chelmsford. Over its life the machine underwent many changes in design. Darby himself had no foundry or selling agents and construction of the machines was sometimes in the hands of companies many miles away. The advantages of the Digger were that it could dig to a greater depth than traditional ploughs, though this could be a problem if the surface soil was thin and underlying clay was raised to the surface. Disadvantages were that early models in particular could be unreliable and heavy, weighing up to 20 tons. There were many working parts to go wrong. If the digging forks, or tines, broke they had to be replaced by a blacksmith. The machine was also said to look ugly and to ‘move like a crab’. Fewer than 50 were ever made but some went overseas, to South Africa, Canada and Egypt. Prompted by a desire to produce the machines himself, he moved to what became Russsell Gardens in Wickford in 1900. There he built a row of terraced houses for some of his workmen. He later moved to a larger site at the Stilemans Works in the Runwell Road, just 400 yards from the railway. The machines manufactured in Wickford were of a new rotary screw design. 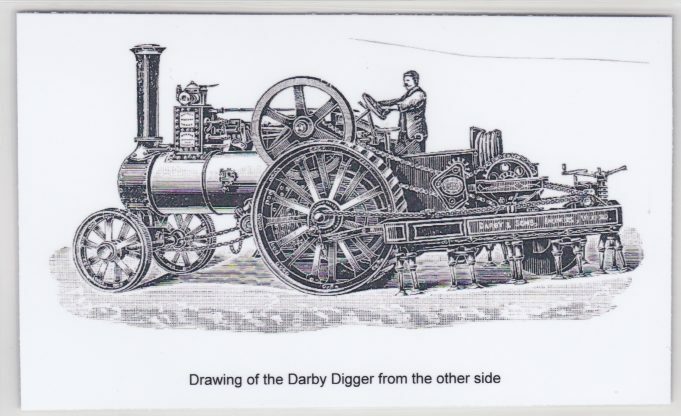 They could be attached to any standard design of traction engine. They were exhibited before George V at the Royal Agricultural Show in York in 1900 and 1912. They cost about £350 but despite over £100,000 being invested in their development they failed to sell in large numbers. Thomas died in Wickford in 1917, aged 75. His sons took over the business which ran as an agricultural engineers and builders merchants under the family name. Thomas Albert Darby dealt with technical matters while Sidney Charles Darby dealt with business matters. The company operated until the end of the 1970s. 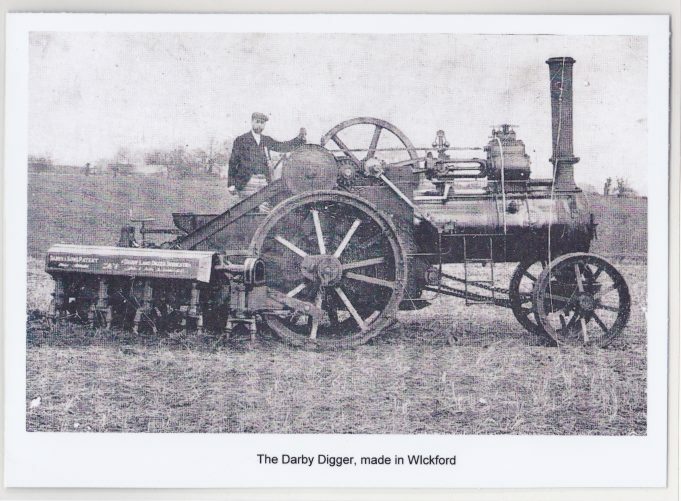 As far as is known no examples of the actual “Darby diggers” still exist but the machine has given its name to a pub in Wickford. 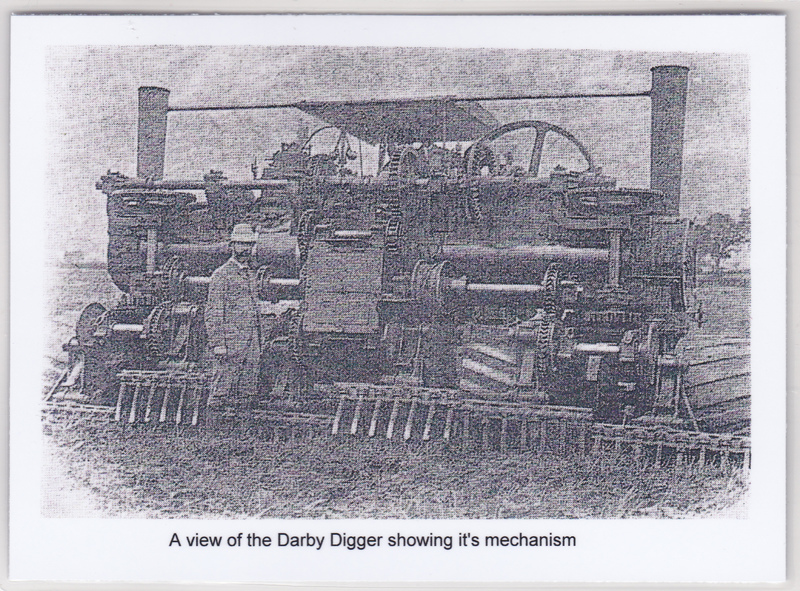 There is more about Darby and the Darby machines here .